- Holds standard and extra re-usable bottles. Using the B-Well Bottle Warmer, breastmilk and baby food can be gently warmed, whether it has been frozen or refrigerated, or is already at room temperature. · For days when you're rushed off your feet, this Philips Avent baby bottle warmer warms your milk quickly and evenly in just 3 minutes. 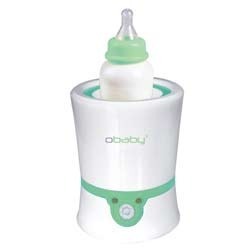 Easy to operate, it features a handy defrost setting and can also be used to warm baby food. Features: This ultra fast bottle warmer from Avent warms milk at room temperature in under 2 minutes. It is essential item in any new mothers kitchen. 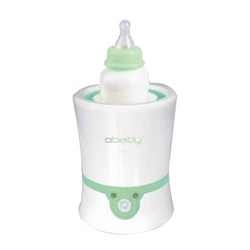 We are extremely engaged in providing an extensive assortment of Baby Bottle Warmer. Our product is available in diverse patterns and at nominal prices. Backed by our flourishing business developments, we are able to offer a flawless quality of Food Warmer in different specification. Now you can warm a baby bottle or food anywhere, without electricity or the fuss of carrying around a heavy thermal flask. Compact in size, convenient and so easy to use. Thermal pouch included.